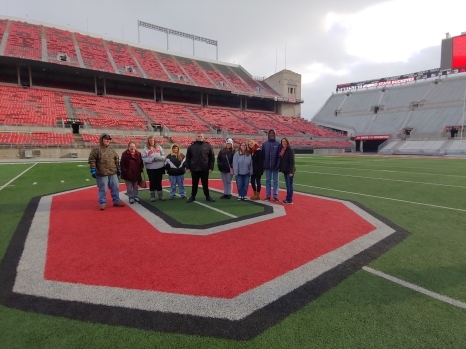 CSI students recently traveld to The Ohio State University to participate in Career Day activities. These pictures prove they had fun while learning and having new experiences! 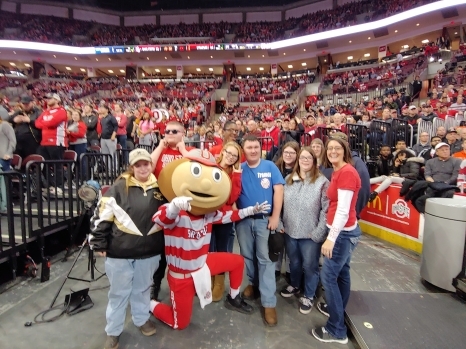 Following the presentation, the students walked over to the Schottenstein Center for a buffet dinner and ended their evening watching the OSU vs. Syracuse basketball game. On Wednesday, November 28th our CSI students, Instructors and parents attended the OSU BPA/DECA Career Day in Columbus. 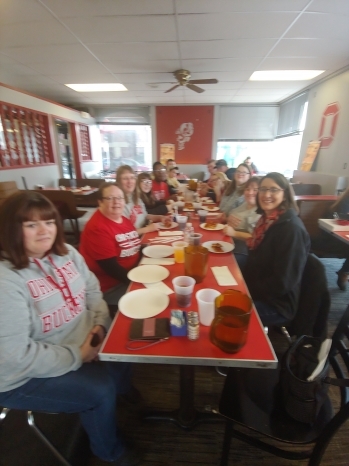 They started the day eating lunch at Tommy’s Pizza and then travelled over to the OSU Football Stadium, where over 857 students, advisors, and chaperons participated in the Sports Marketing Seminar. The students listened to three different speakers talk about Sports Marketing. They received a tour of the football stadium including the press box and was also granted access to go out onto the field. The students then walked over to St. John’s Arena where they listened to a recruitment presentation from Ohio State and the Fischer College of Business.